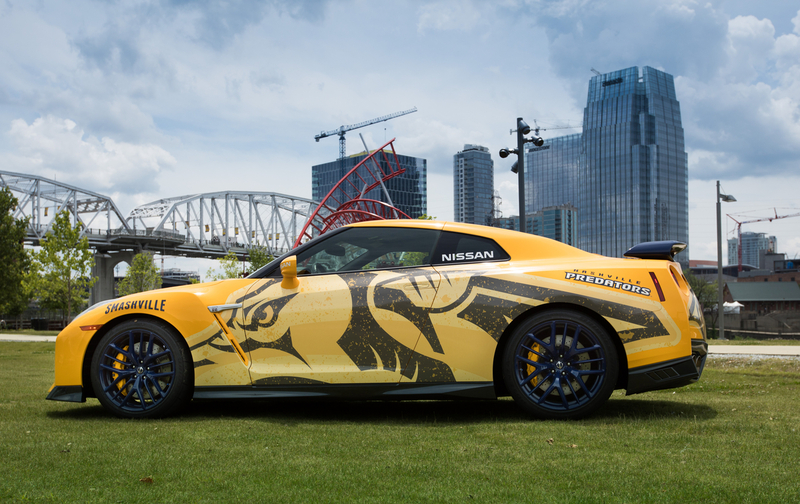 The Predzilla GT-R was a specially created 2017 Nissan GT-R supercar donated to the Nashville Predators Foundation. 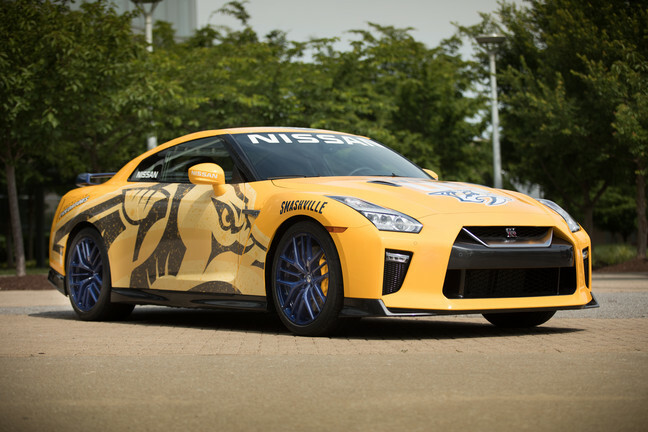 The $109,990 GT-R Premium model was custom-painted in Preds’ official colours and graphics. The Nissan GT-R was the main attraction in the Predators Foundation fundraising auction. 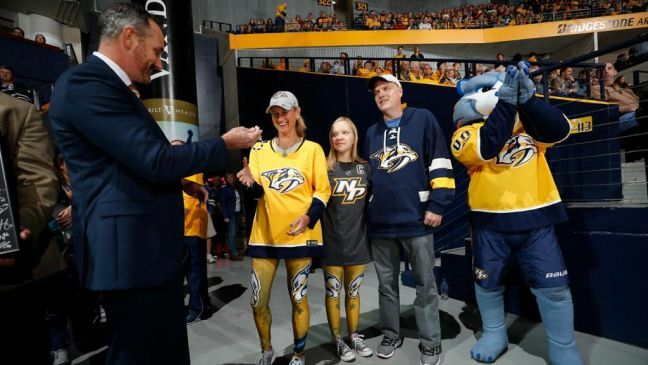 The auction was won by David and Hiliary Whitt of Richmond, Virginia, USA for $113,000 USD. 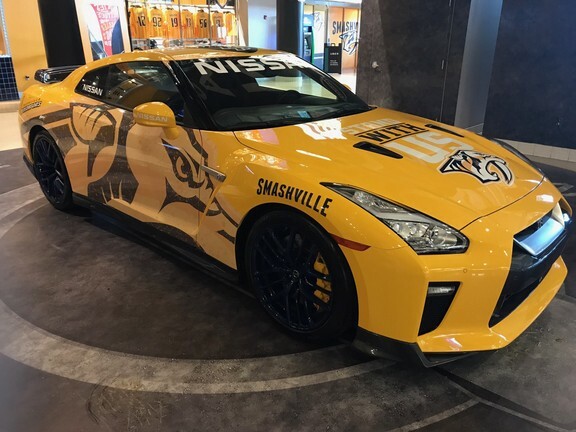 NASHVILLE, Tenn. – Nissan today announced the donation of a specially created 2017 Nissan GT-R supercar to the Nashville Predators Foundation, which supports a variety of local Nashville charities. 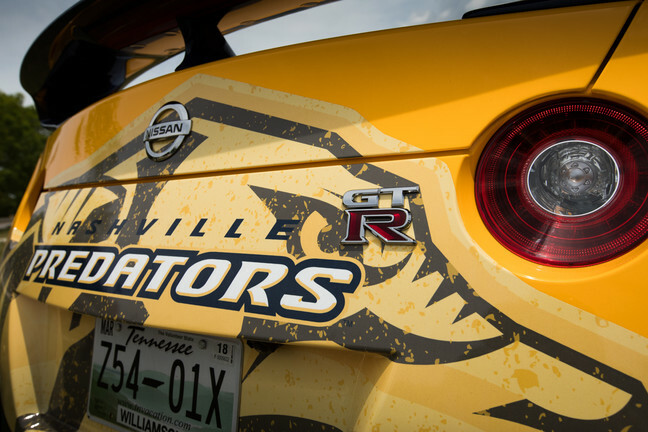 The $109,990 GT-R Premium model is custom-painted in Preds’ official colors and graphics. The special Nissan GT-R will be the main attraction in an upcoming Predators Foundation fundraising auction that was also announced today. David and Hiliary Whitt were the winners of the 'Predzilla' GT-R.